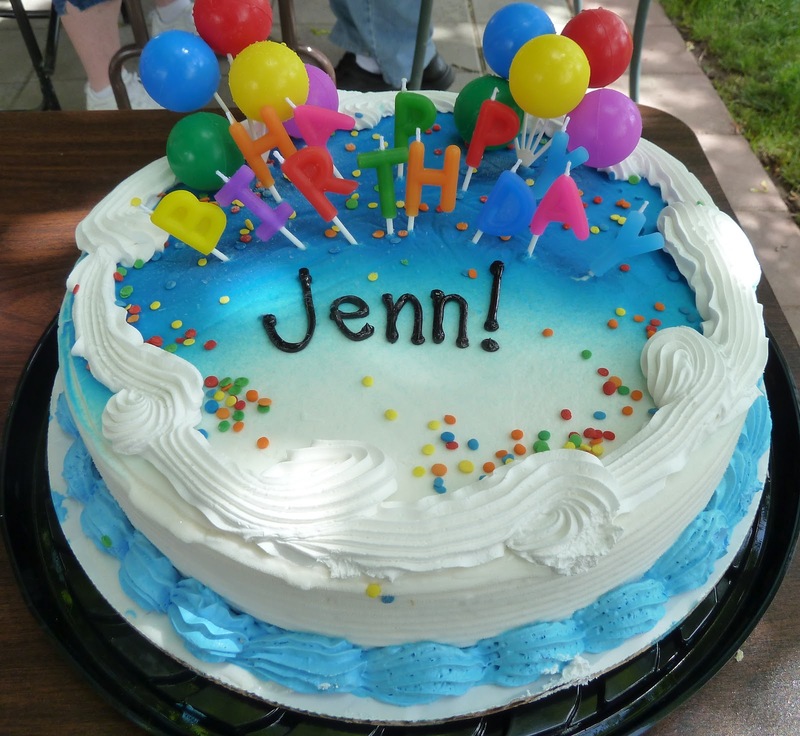 Kiddo and I stopped by Dairy Queen last night to get her favorite kind of cake - an ice cream cake. 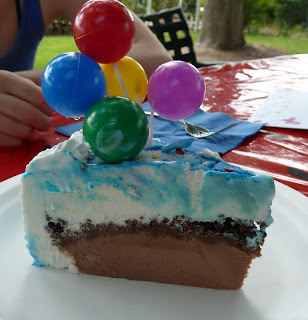 The last time we had an ice cream cake from there was hubby's birthday. Last August, daughter had stopped by DQ on her way home and picked out one she thought dad would like. And now last night she picked out one she liked for herself. When she chose it I thought it looked familiar. I was so sure I had seen that cake somewhere before. It only took some blog searching to find out where. Happy Birthday, dear daughter. Now I know what kind of cake to get you for next year!